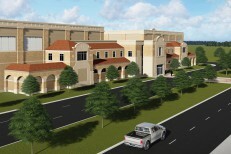 The Texas Tech Foundation announced today (Nov. 21) five new members of the board of directors. The new members were installed during their first meeting held Friday, Nov. 17. 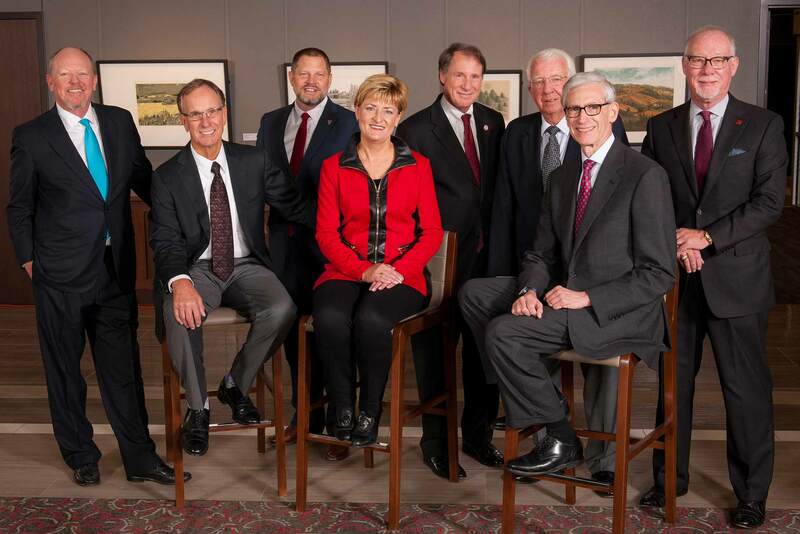 Texas Tech University System and Texas Tech Foundation officials pose with incoming board members, from left, Dustin R. Womble, Tom Fogarty, Vice Chancellor for Institutional Advancement Patrick Kramer, Kim Ford, Chancellor Robert Duncan, Texas Tech Foundation Chairman Don Maddox, Jim Skinner and James Keffer. and Dustin R. Womble, independent director of Tyler Technologies in Lubbock, Texas. For more than 75 years, the Texas Tech Foundation has partnered with the Texas Tech University System to raise, manage and invest private gifts for the benefit of the system and its four universities. The nonprofit foundation is governed by a volunteer board of directors who meet quarterly to review investment performance and ensure that donors’ long-term interests are being served. Each of the incoming members was nominated by the Texas Tech Foundation board of directors this summer and approved by the Texas Tech University System Board of Regents at their October meeting. Their four-year terms end August 31, 2021.